Keep potatoes for up to 3 weeks in a paper bag in a cool, dark, dry place - never in plastic, in the refrigerator, or under a sink, as moisture speeds decay and refrigeration can darken them and adversely affect flavor. Sweet potatoes will last up to 2 weeks. 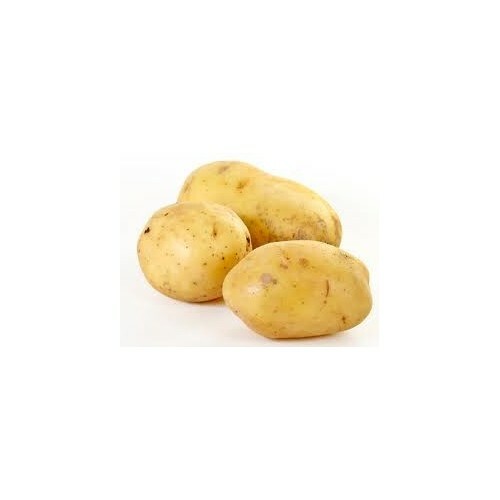 Do not expose potatoes to light for prolonged periods, as it turns the skins green - this discoloration is toxic in large quantities and should be peeled away before cooking. Discard potatoes that have sprouted, which indicates that they have begun to soften and decay. Freezing potatoes is not recommended - they’re 80 percent water, which separates from the starch and nutrients when the potato is frozen.